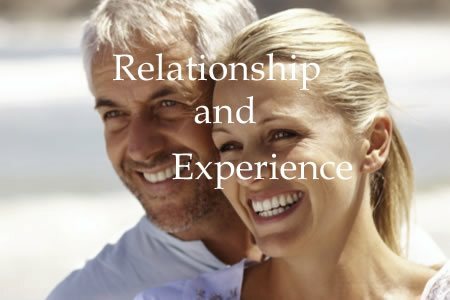 A Personal Understanding Relationship - As an independent family owned practice we are not constrained by corporate guidelines. We devote the time that each patient needs to fully understand their hearing loss and how it affects their relationships. We encourage patients and their family to ask as many questions as they would like so that they can understand the patient's hearing loss and hearing aid technology. After thorough testing, consultation and discussion we are better able to provide the best recommendation for treating the patient's hearing loss. 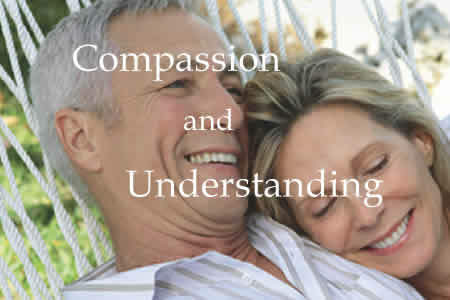 In building a relationship with our patients our goal is to make it a lifelong relationship. We want to be involved not only so we can help the patient in the first year, but for the years to come. With this ongoing knowledge we are better able to adjust the patient's current hearing aid technology and when necessary make a recommendation for a change in either hearing aid technology or style. To verify our overall approach please view our reviews on Google, Yahoo, Yellow Pages, as well as the testimonials on this website. Independent - Another benefit of being independent is that we are not restricted by a larger organizations pricing structure. Our prices are developed with the patient in mind; in fact they are some of the lowest hearing aid prices in North America. We only offer high quality name brand hearing aids with a proven track record of technology advancement, performance and reliability. Healthcare Environment - Healthcare is changing. Hearing healthcare is not adapting at the same pace, specifically regarding cost. The cost of procedures, prescriptions and other medical devices are becoming more readily available to the healthcare consumer. Why shouldn't hearing aids be included? We believe it should not be an unknown in your evaluation process. That is why we provide the price of our hearing aids and accessories on this website. We believe that as an informed hearing healthcare consumer you will make a better decision. 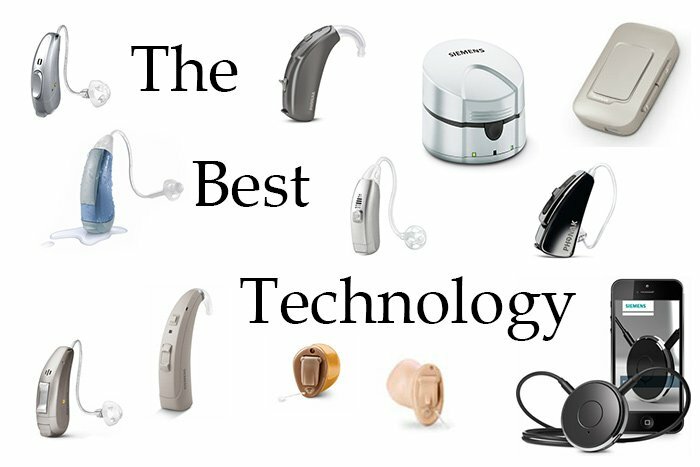 Technology - The most advanced hearing aid technology the industry has to offer. Over time we have offered many different hearing aid brands. Our patient feedback has helped us narrow our focus to three major brands. We offer the latest technologies from Signia Siemens, Rexton and Phonak. Available from us is Signia Siemens latest technology Nx and Primax. From Rexton we offer the latest TruCore technology and from Phonak the Venture technology line. Models within these brands offer rechargeability, water / dirt resistance and Bluetooth. Bluetooth connectivity is available in most of our hearing aids making phone conversations or television programs enjoyable again. The latest hearing aid technology also incorporates tinnitus treatment. Take a Step Toward Improving Your Life - It's so important to work with someone you like and trust. Find out what our patients have found; there truly is a difference. Call us for more information or to make a No Obligation appointment for a hearing exam. 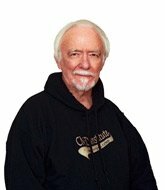 Hearing Aid Trial - We offer a very unique option. Try before You Buy. 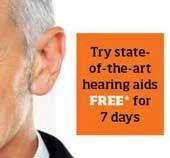 We provide a 7 to 14 day free, no obligation, no cost hearing aid trial. Many practices offer a 30, 45 for even 75 day so-called trial, but you are required to make a down payment or the complete payment before your trial begins. This is not a trial, it is just but a return privilege. We offer a completely free, no obligation trial of the latest hearing aid technology. Call and make an appointment for your free trial. "I have been wearing hearing aids since 1990 and worked with many audiologists at different facilities in Dallas, Texas. We moved to Oak Park in 2007 and I found Northwest Professional Hearing and met the Michalaks'." "Jill is simply the best hearing aid professional I have ever found. She is smart, personable and knowledgeable. She will work with you until you are completely satisfied. Jill knows the full range of the most current and superior products available and will search until she finds the hearing aids best suited to both your hearing loss and your budget. I recommend her without qualification." Helped, Not Pressured - Our philosophy has been very successful. Our patients tell us how pleased they are that we spent the time necessary for them to understand their hearing loss and be a part of their decision. Our goal is to give you the best education, counseling and information possible so you are comfortable with your decision. Many ask how we can offer so much at such an affordable price. It's simple. We are a family owned practice, not a franchise and our hearing healthcare philosophy is different. We know the patient wants to be helped, not sold. That's why there is always flexibility and never pressure or any obligation. Two Ownership Options - The Bundled and Unbundled options are the most flexible way to acquire your hearing aids. These options provide for two different price points and two different service levels.